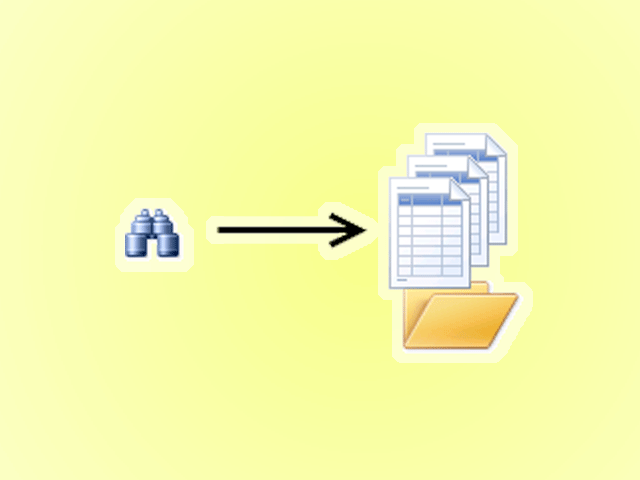 This article demonstrates a user defined function that lists files in a ggiven folder and subfolders. 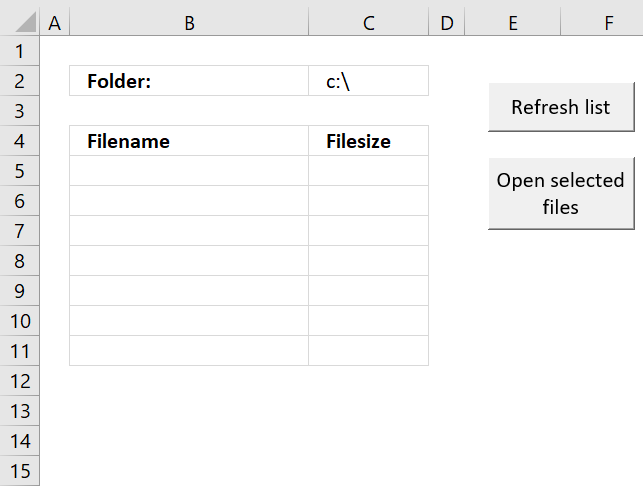 A user defined function is a custom function in Excel that anyone can build, simply copy the VBA code and paste to your workbook's code module and you are good to go. To enter an array formula, select the cell range, type the formula, then press and hold CTRL + SHIFT simultaneously, now press Enter once. Release all keys. FolderPath Required. The path to the folder you want to use. 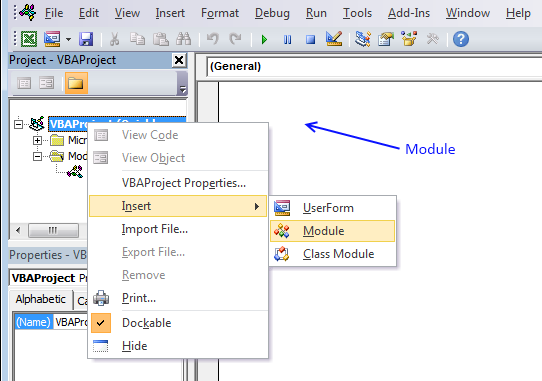 Copy and paste vba code, both functions below. 'Declare a public variable meaning it will exist for both functions below. 'Redimension array variable temp so it can contain more values if needed. MsgBox "There are more rows, extend user defined function"
'Redimension array variable Folders so it can contain more folder paths if needed. 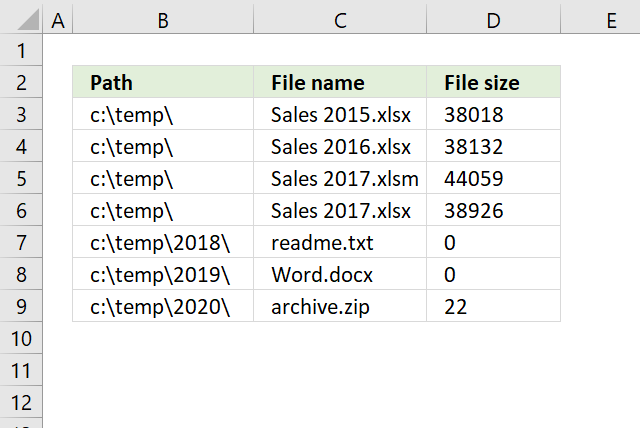 Do Until Value = ""
'Ignore file name . and ..
Recursive FolderPath & Folder & "\"
Using the VBA Help, I notice there is nothing list as &H1F for the Dir Function. Can you explain that part in your code? Thanks for your tutorials... Great job as usual. I think you are talking about this line? List a directory in command prompt and you will find that the first two lines are named . and .. I think they are reference to the current folder and the parent folder. I get the message: "There are more rows, extend user defined function"
Is there anyways can I skip that? Because I want to see the whole of the L drive. 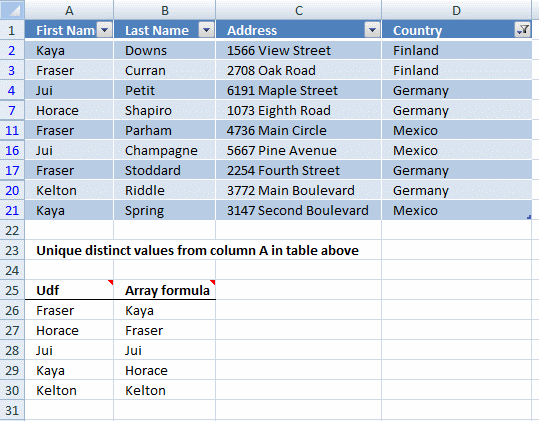 did you enter the custom function as an array formula? Oscar, what do you mean enter the function as an array formula? How would I do that? I suppose this is what the hex-number is used for. Attribute &H1F is as binary: 011111, which means that attributes with values 1, 2, 4, 8, 16 shall be listed. Use dir(path,&H10) only folders will be listed. &H14 will list folders and system files. Thank you, I did not know. Hi. Can you please guide me how to edit this code so that I want to select only directories with a specific pattern at each level and only .edf files. first af all I want to thank you to share this Code with us.it work fine but I want to make somthing additional. I would like to add some informations (in new columns) to each File/Filename. Is that possible? 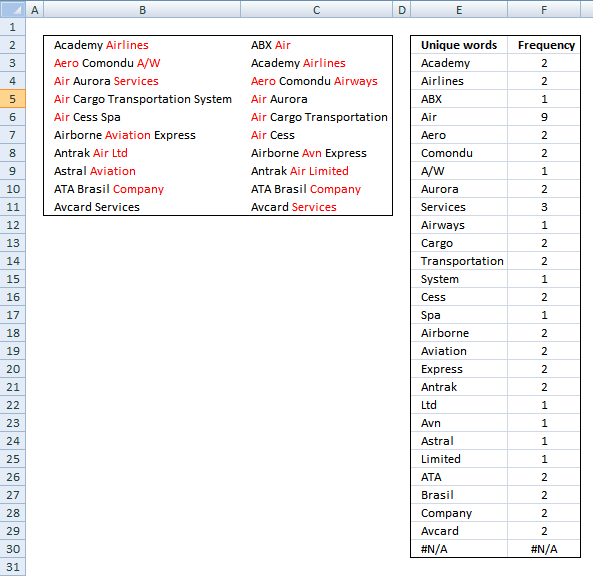 Is there any uniq identifier of the files readable with with VBA? I would like to add some informations (in new columns) to each File/Filename. Is that possible? Yes, make temp array variable larger. What kind of information? Is there any uniq identifier of the files readable with with VBA? Not that I am aware of, Windows won't allow you to have two identical file names in the same folder. 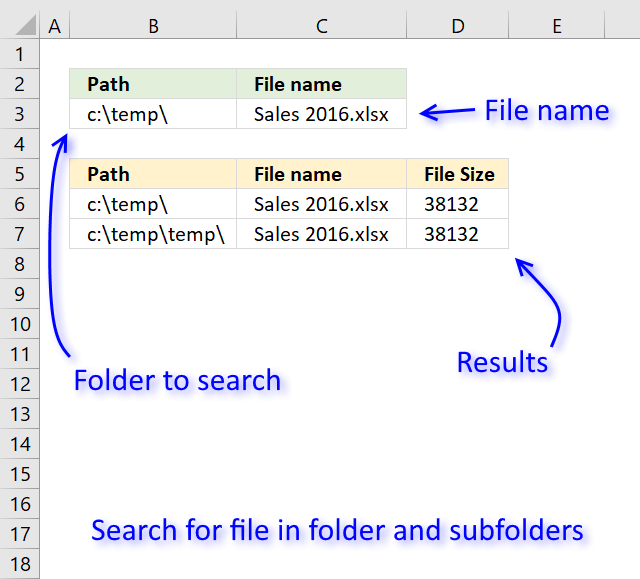 The folder path together with file name makes each file unique. if file not found then "File is deleted or moved"
If new file found then "New file added"